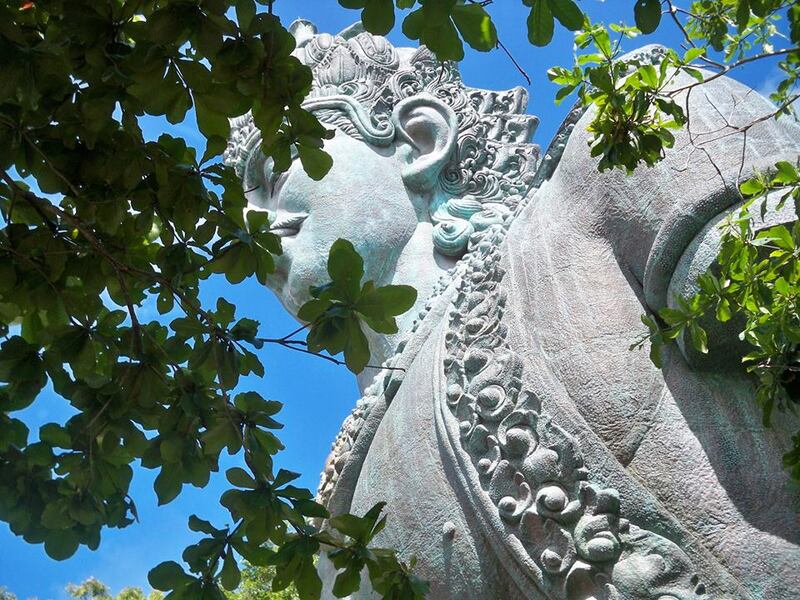 Bali Tourism Watch is aimed at exploring the complexity of tourism development in Bali by looking at the detailed positive and negative impacts occured on social, culture and enviroment as described in the sustainable tourism development concept. 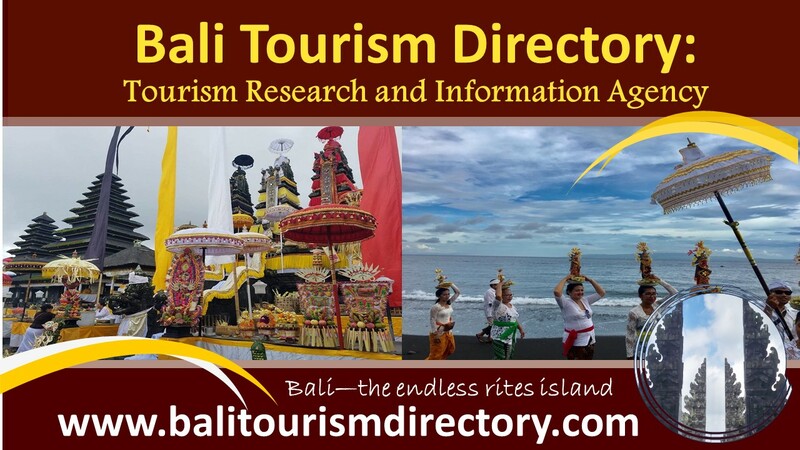 Additionally, Bali Tourism Watch attemps to discuss the current issue of tourism in Bali including events, policy and conflicts. 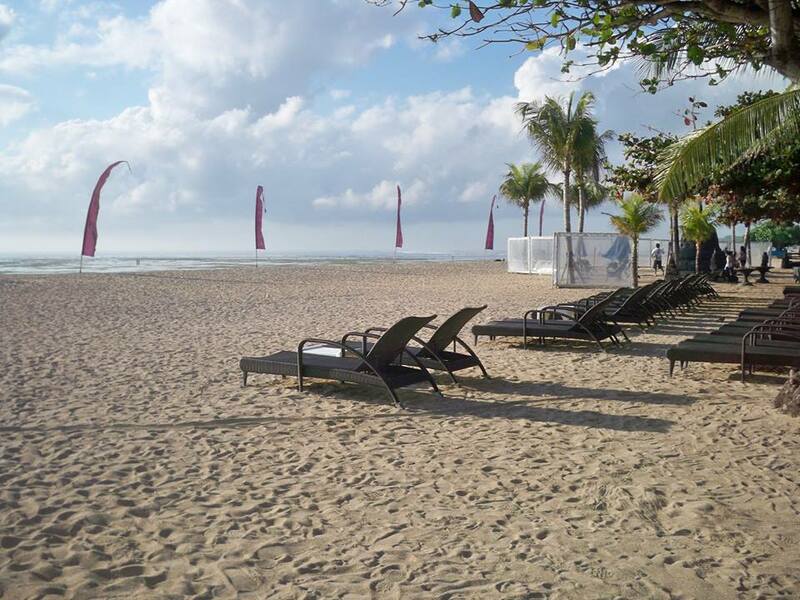 Here are the most interesting tourism issues happening on the island now. 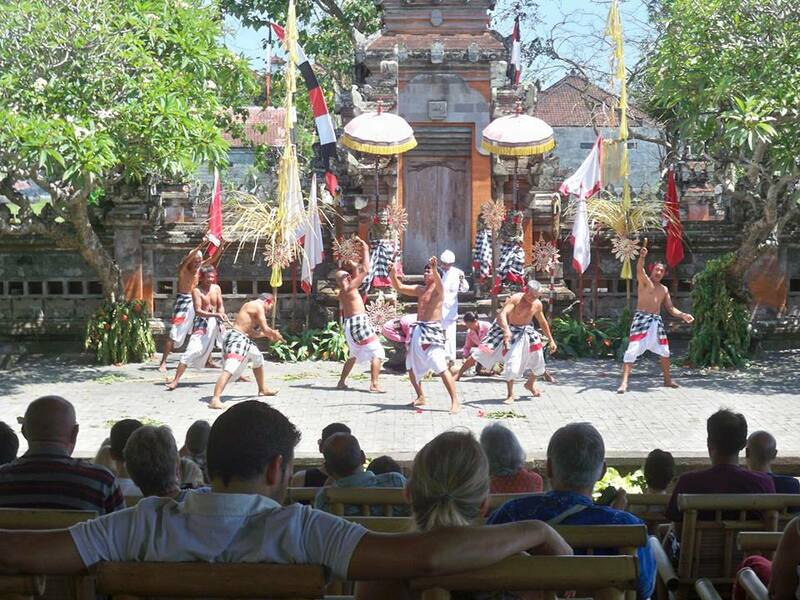 There is a very dramatic increase of tourist visit to Bali Bird Park today. 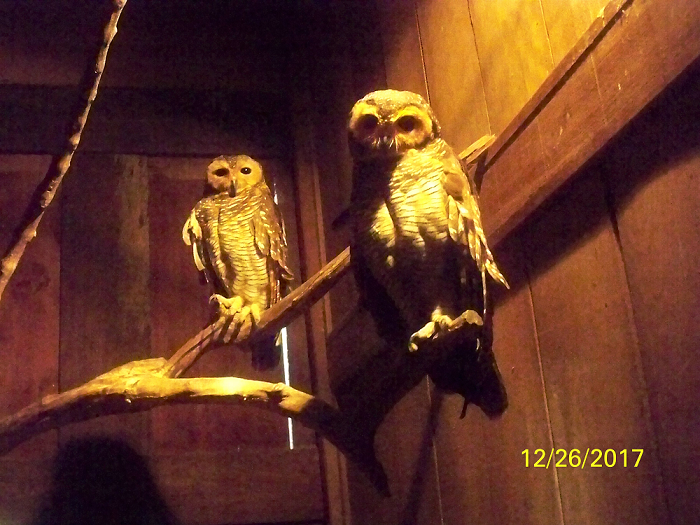 More than 500 domestic and international tourists are visting the mostl well-known bird park in Bali a day after Christmas day. 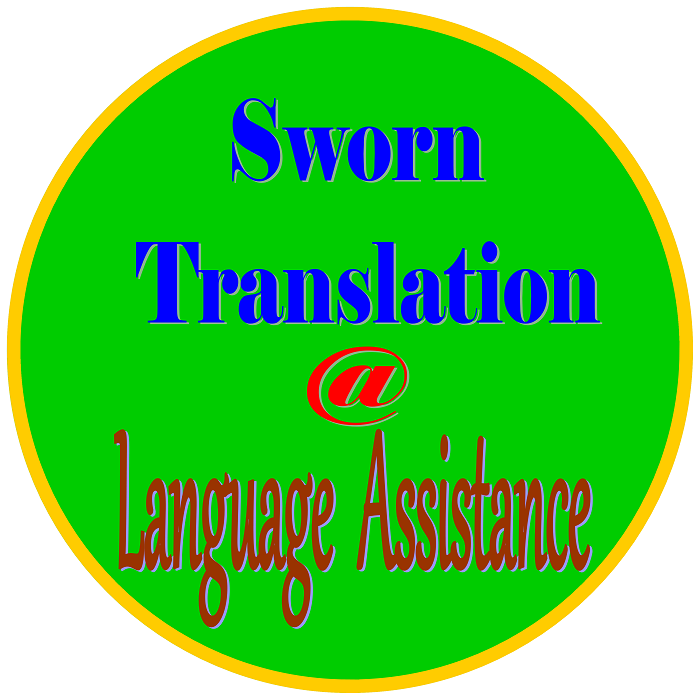 This number is twice more than the usual day which only accounts between 100 and 200 visitors. 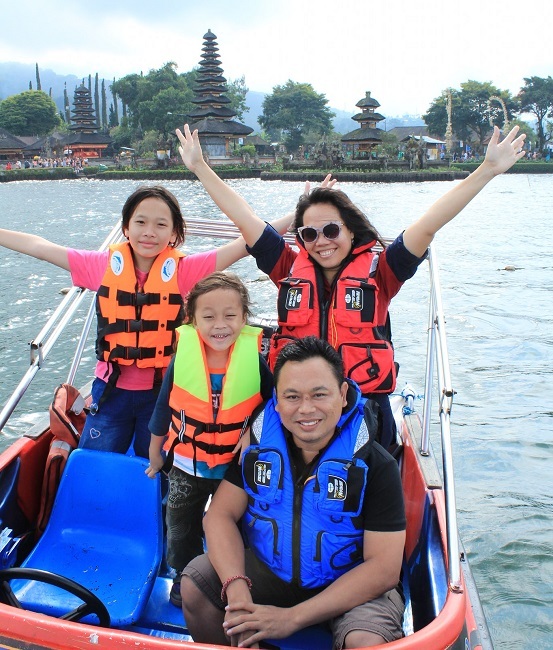 Such rapid growth indicates that Bali's tourism is now beginning to recover after the Mount Agung eruption wherein more and more tourists visiting the island which widely known as "World Paradise". 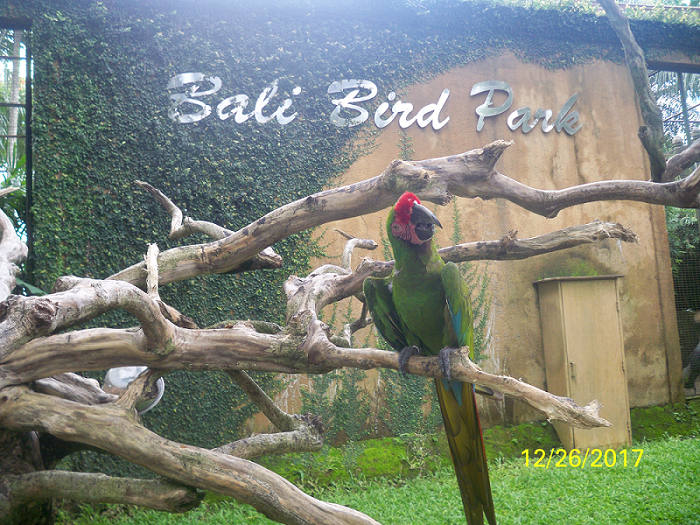 Bali Bird Park has more than 1000 bird collections from over the world. They can be easlily gazed around the park which will take about an hour to explore. There are also Bird Shows that offer chances for the visitors to see how clever and talented the birds are, to engage with the birth by feeding them lively, to take pictures with them and many more. 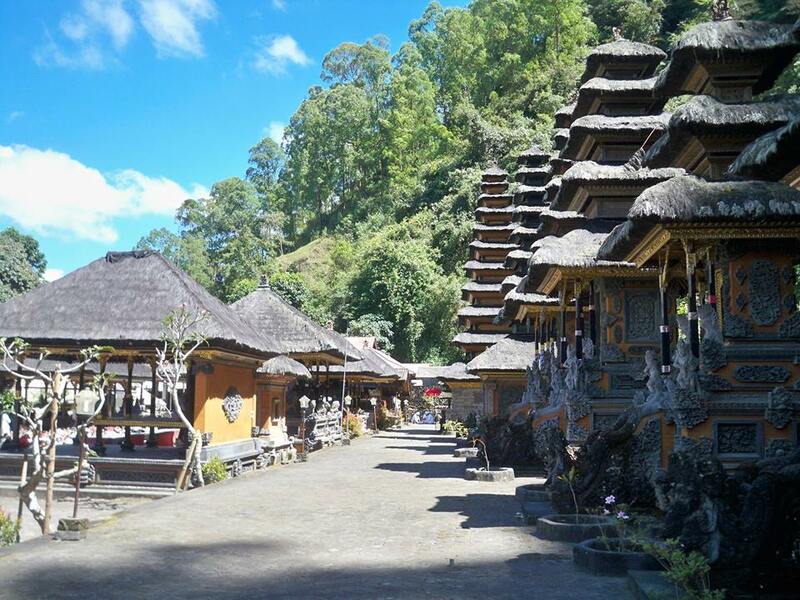 Bali Bird Park is located in Singapadu village, Gianyar, about 45 minutes from the capital city of Denpasar or about half an hour from Sanur-one of the most popular white sand beaches in Bali. Joko Widodo who is publicly known as "Jokowi", the President of Republic of Indonesia visited Kuta Beach - world most popular sun set view and the "paradise" for the international surfers on 22 December 2017. 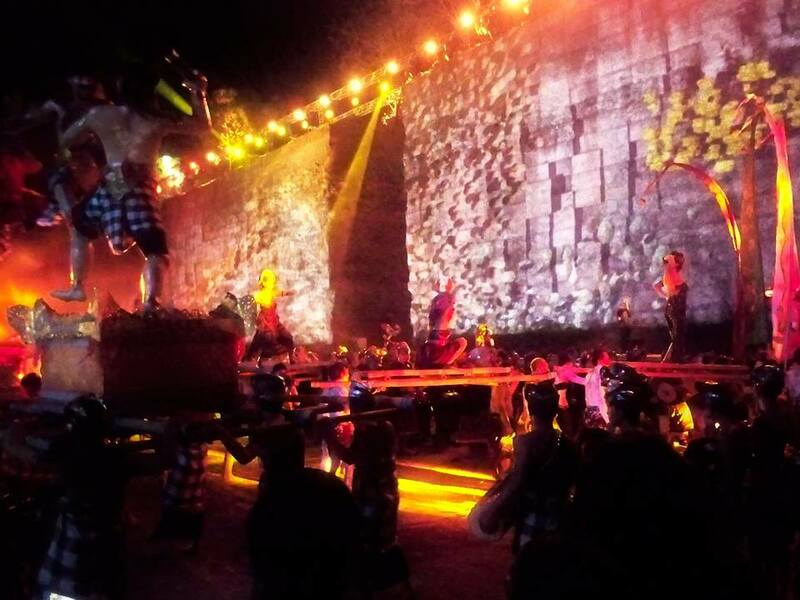 This is the real involvement of the President to recover Bali's tourism which lately affected by the Mount Agung eruption and to show to the world that Bali is really safe to visit. As noted by the National Disaster Mitigation Agency, only the area within 13 kilometers are categoried as dangerous zone, while other areas remain safe for anybody (local people and also tourists). 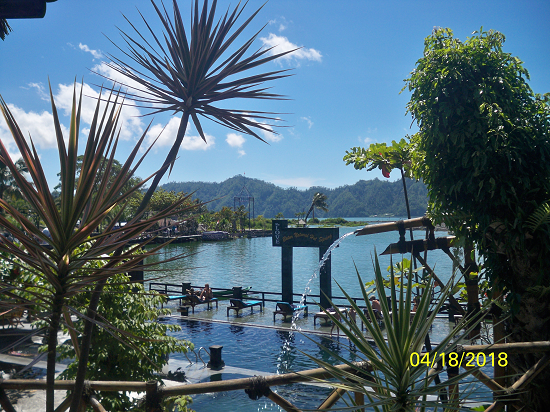 And thus, the international airport of Ngurah Rai which is located about 70 kilometers from the mountain still operates as normal to allow domestic and international tourists visit Bali and spend thier holidays on this paradise island. The President's visit that accompanied by Arief Yahya, the Minister of Tourism of Republic Indonesia and also other ministers was proudly welcomed by the local people and tourists who were enjoying the day at Kuta Beach. They looked so happy as they could meet the President directly on site and of course had a "selfie time" with the leader of the country. 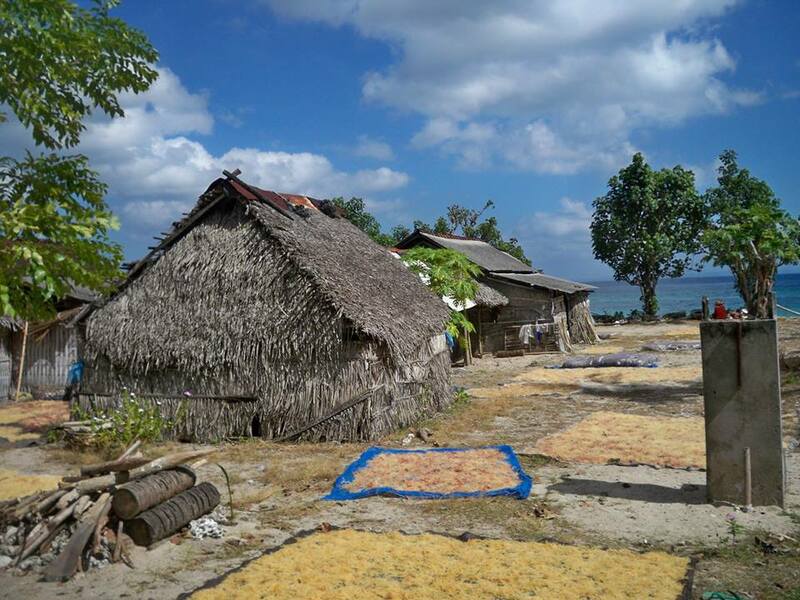 Joko Widodo just walked down along the beach and saw how tourists and local people going in this tourism site to ensure that tourism is still aiding the economic growth of the local people. 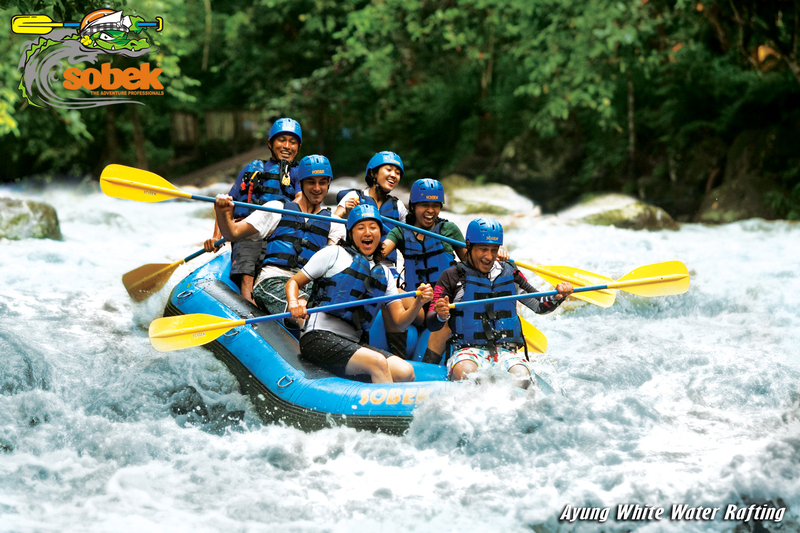 Enjoy your holiday in Bali Sir Joko Widodo! 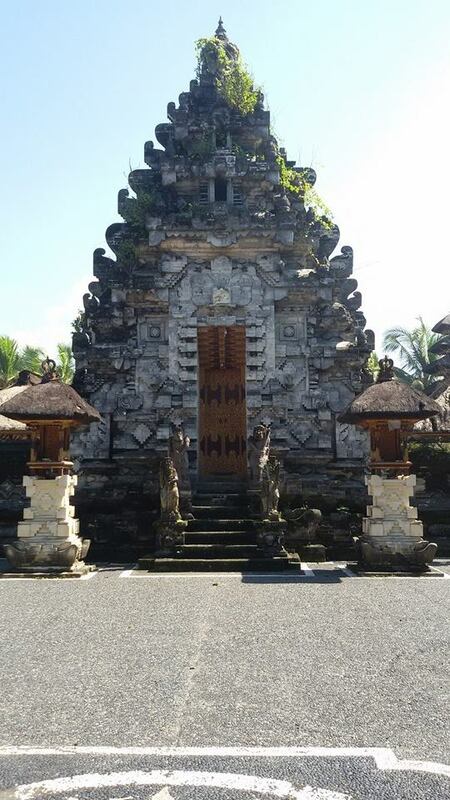 The Mount Agung eruption has affected the number of tourists visiting Bali, more particulalry Goa Lawah Temple, a cultural tourism site located in Klungkung Regency, Bali. Since Mount Agung stated be on alert which termed as Level IV by the National Disaster Mitigation Agency on 27 November 2017, the number of tourists visiting Goa Lawah decreased sharply (National Disaster Mitigation Agency, 21 December 2017). 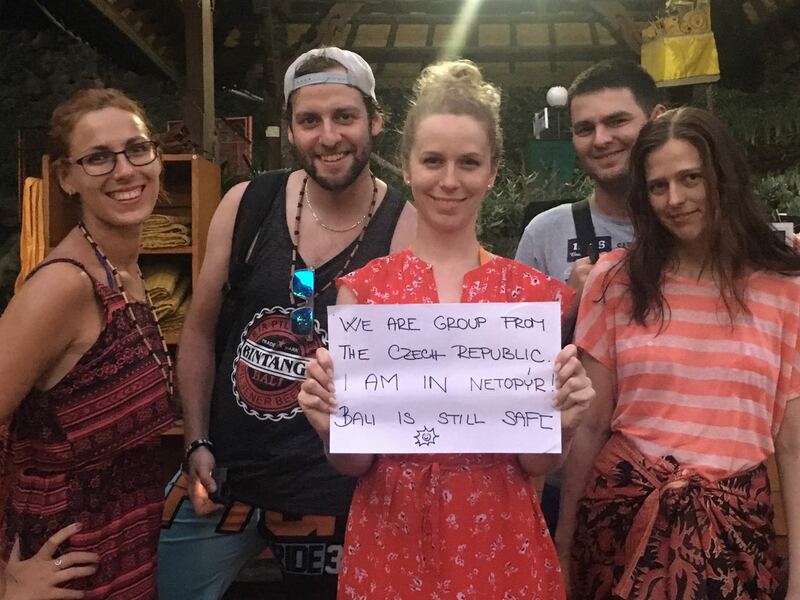 Many tourists have considered Bali is not a safe place to visit, but many also think that it is fine to visit Bali as the eruption of the mountain only affected the area within 13 kilometres while other areas remain very safe. 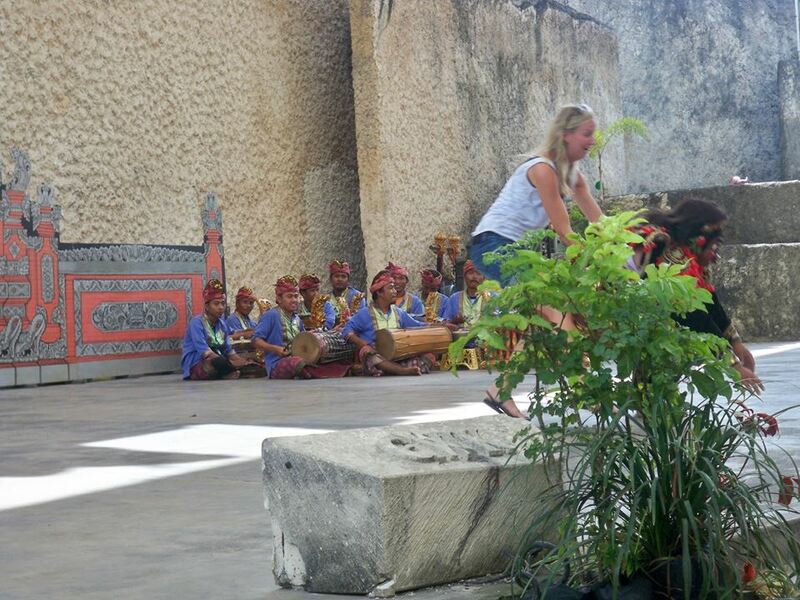 This week, there are between 50 and 60 foreign tourists visiting Goa Lawah Temple during the day. This suggests that there has been a slow increase of the tourists visiting the temple. 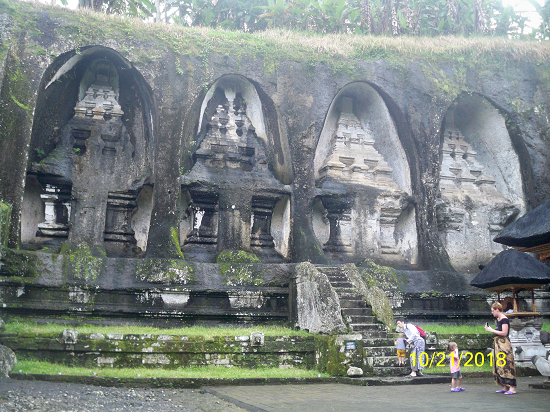 It is important to note that there used to be hundreds of foreign tourists visiting Goa Lawah Temple every day. 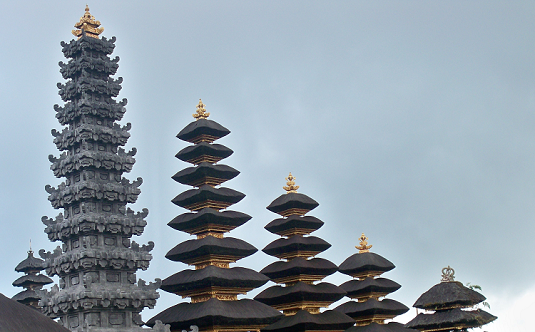 The temple manager expect more tourists to come to the temple by the end of the year as tourism of Bali start to recover.He argues "Bali is actually still safe to visit since the Mount Agung eruption does not affect all regions of the island. It is only affected the area within 13 kilometers which stipulated as "Dangerous Zone" while other regions is still safe". 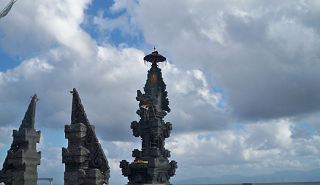 Goa Lawah is far away, about 35 kilometers from Mount Agung. 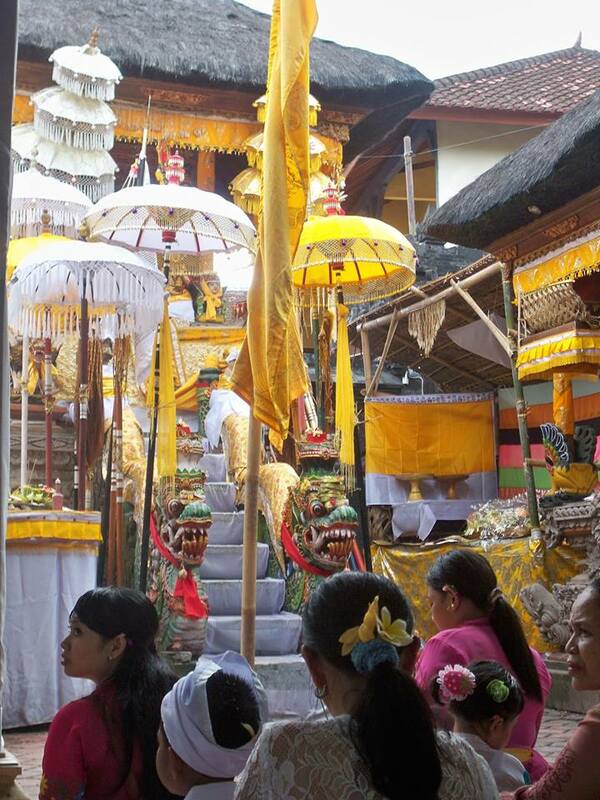 So, please never worry to visit the temple (Personal Conversation with temple Manager, 21 December 2017). 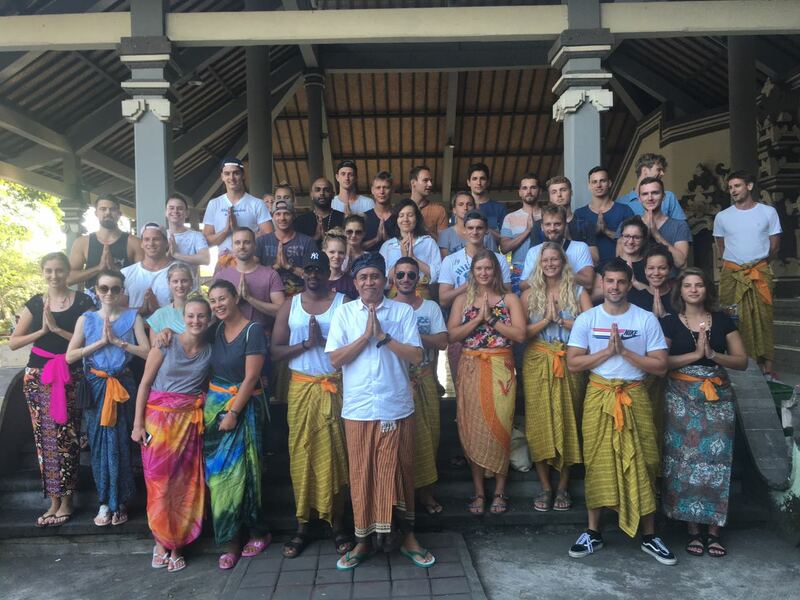 The safeness of Bali can be proven from the tourist visits from the Czech Republic who visited Goa Lawah temple this week; and ever a bigger group from Germany also visited Goa Lawah temple this month. 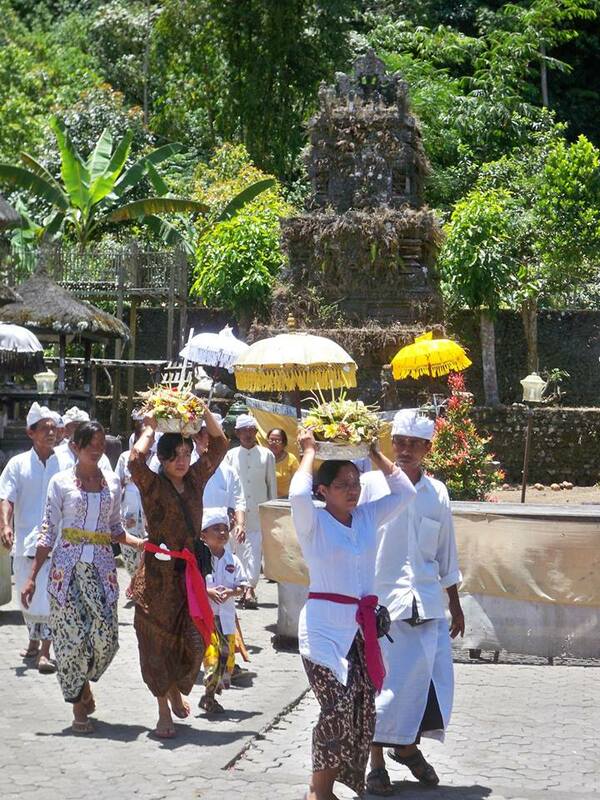 A Balinese tourism scholar Dr I Nengah Subadra argues; "Visiting Bali means recovering Bali's tourism". This suggests that whoever you are, where ever you coming from, whatever your profession, Bali is always waiting for your visit. 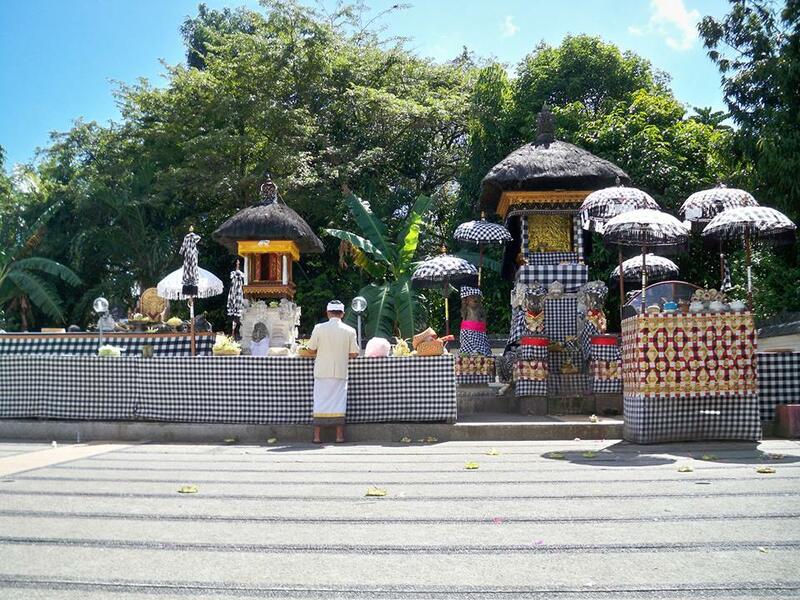 Balinese people are ready to offer you opportunities to gaze, to learn and to engage with Balinese unique culture; and more importantly to aid recovering current tourism in Bali. The Government of Bali has put Mount Agung - the highest mountain in Bali on alert since 22 September 2017 as it is about to erupt seen from the natural and scientific indications appear on site; and this alert status shall continue until 15 October 2017 (National Disaster Management Agency 9 October 2017). 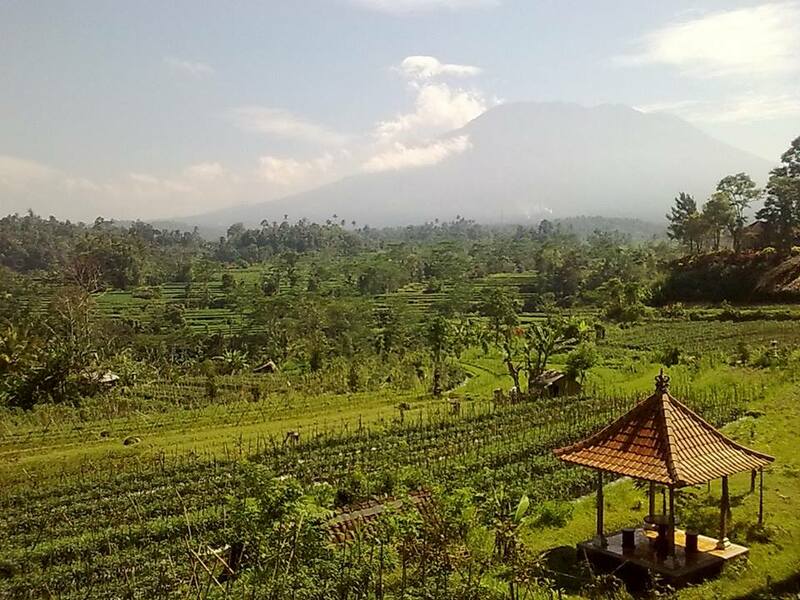 Mount Agung was lastly erupted in 1963 killing more than thousands of people living on the slop of the mountain or villages located close to this mountain and destroying millions of hectares fertile land. Many local people within the area of the eruption were evacuated to safe regions and even finally migrated to other islands including Lombok, Sulawesi and Sumatra who are now permanently settle there. 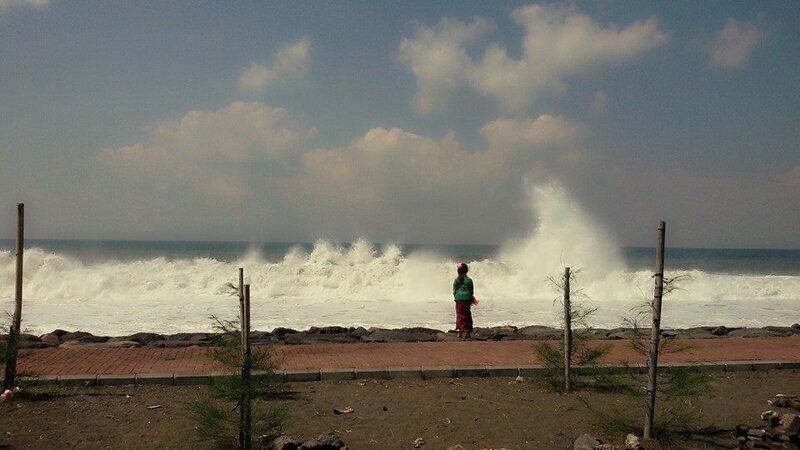 More than one hundred thousand people were evacuated to safer places including Manggis, Sidemen, Klungkung, Badung and Denpasar to anticipate the victims of the deadly volcanic eruptions. The government of Bali supplies all their principal needs to ensure they are living properly in the refuging camps which accounted for 427 sites across the island (National Disaster Management Agency 6 October 2017). Minister of Tourism of Republic of Indonesia, Arief Yahya confirms Bali as a safe tourist destination (Kompas 5 October 2017). 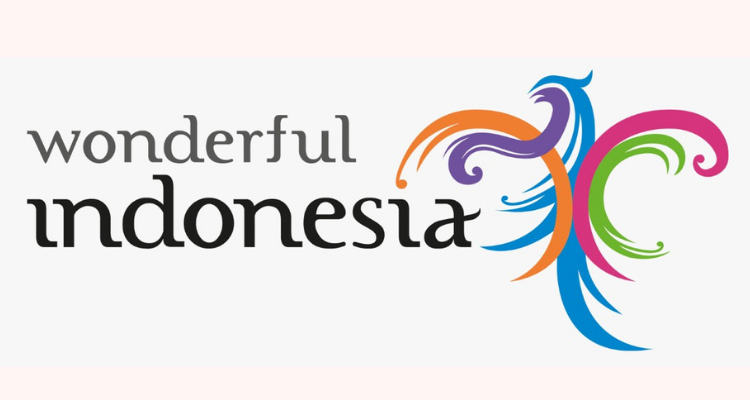 During his visit to Bali in relation to the Alert status of Mount Agung – the highest mountain in Bali, he confirms that it is save to visit the island of paradise – BALI. 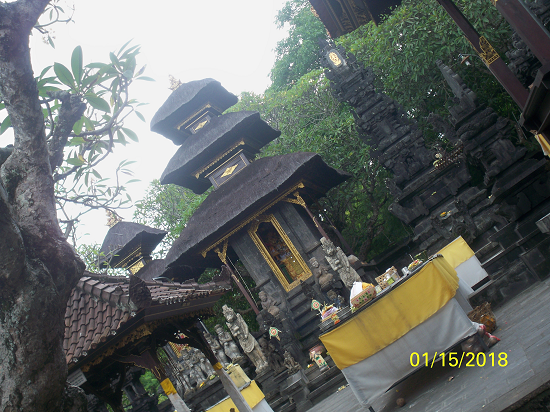 He even visited Besakih temple which is located about 9 km from the mountain to ensure that Bali is really save for holiday. 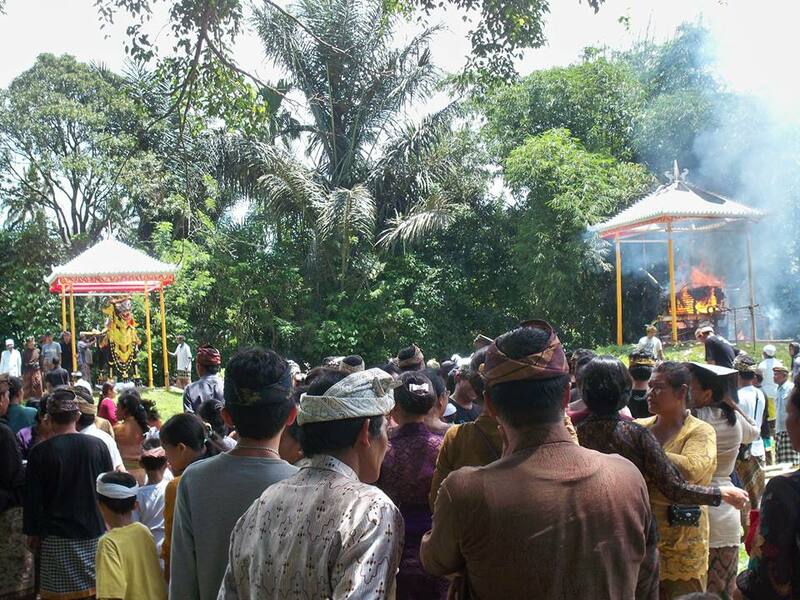 The visit of this particular minister to this biggest temple complex is directly hosted by Vice Regent of Karangasem I Wayan Arta Dipa. This is the way the local government to rebound the tourism condition which tightly affected by the issue of Mount Agung alert status. 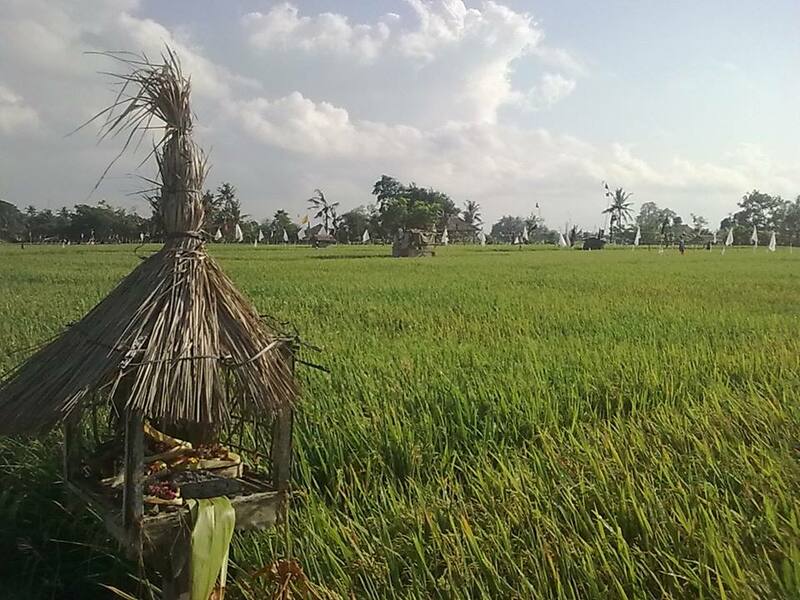 During a home conversation with Dr I Nengah Subadra - a tourism scholar from Karangasem Regency on Wednesday 18 September 2017 in Pesangkan Village, Arta Dipa Argues that “Bali especially Karangasem is safe to visit. 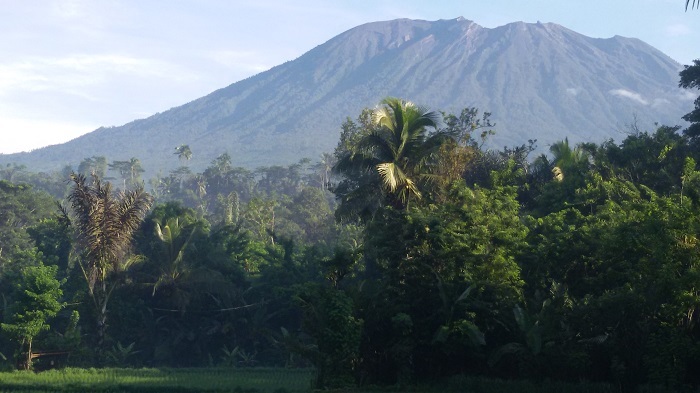 Only the areas within 12 kilometres from Mount Agung are stipulated as hazardous zones. 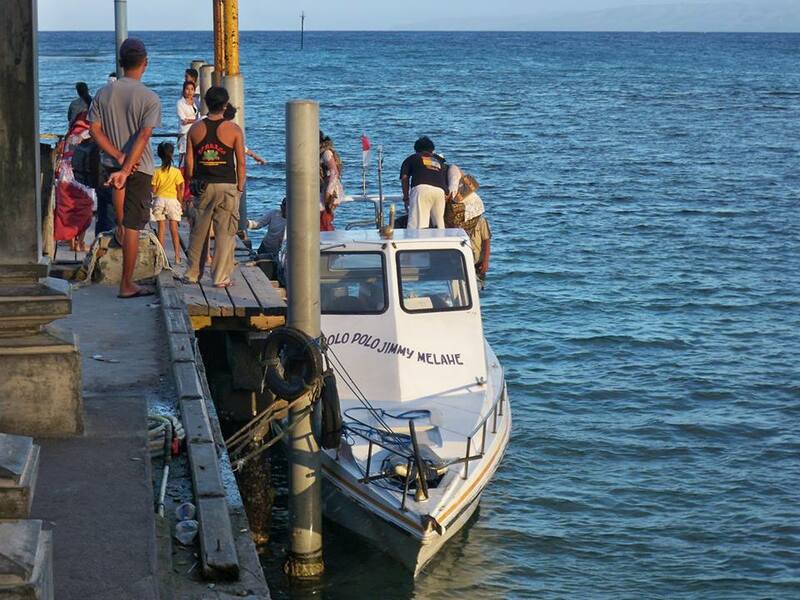 Meanwhile other tourism sites such as Candidasa, Tenganan, Sidemen, Tirtha Gangga are fully safe to explore. So no need to be aware of visiting the other entire parts of the region”. On the same vein, Governor of Bali - Made Mangku Pastika while meeting with Wahid Supriyadi the Indonesian Ambassador for Russia also confirms that Bali is still safe to visit even if Mount Agung is still on alert (Nusa Bali 16 October 2017). Only the regions nearby the mountain is strictly forbiden to enter, while other are still fee and can be explored. 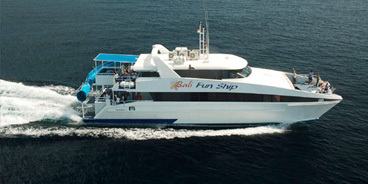 Russia seems to be good market for future Bali's tourism. The Regional Disaster Mitigation Agency (BPBD) of Bali keeps monitoring the current condition of Mount Agung to anticipate immediate disaster that might rise as consequence of this alert status. This agency also coodinates well with the National Search and Rescue Agency by locating thier officials, trucks and ambulances in security posts located in the hazardous zones including, Pesangkan Bali (Field Observation 18 October 2017). 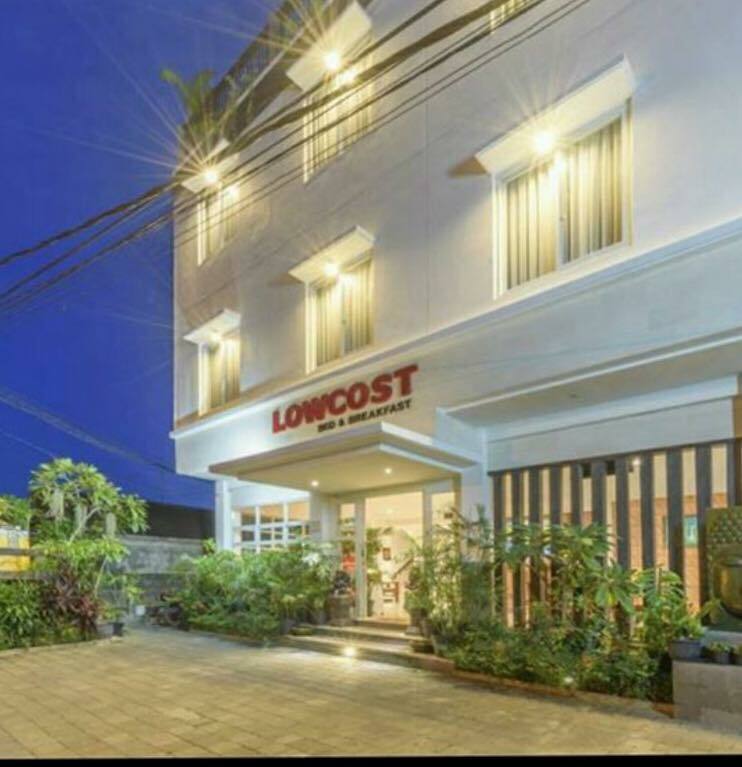 Need CHEAP Accomodation in Bali?